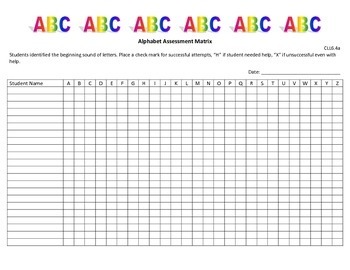 Use this tool to document when students identify the beginning sound of letters. Two forms are available, one for large group (up to 22 students). 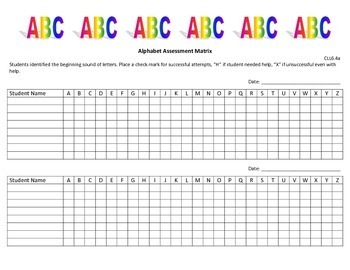 Make as many copies of each as you need to assess your class.